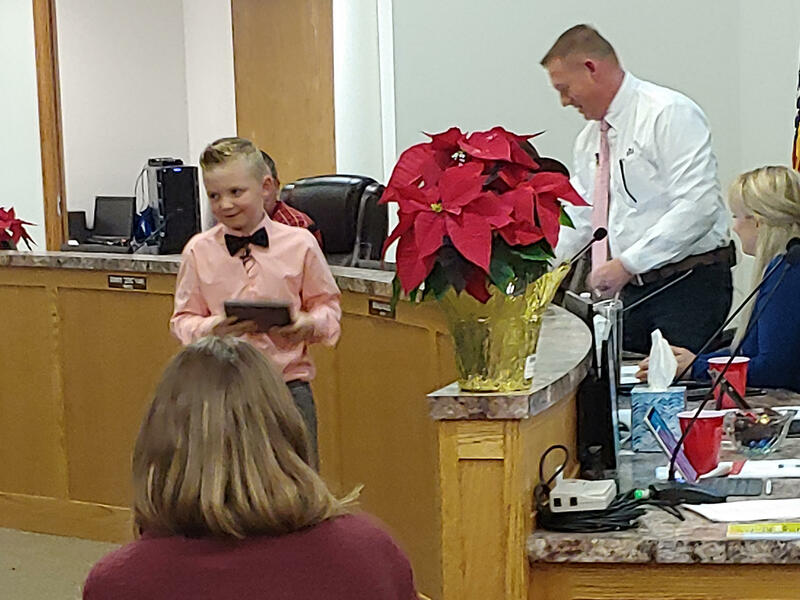 Dane Best, 9, attended a meeting with the town trustees in Severance, Colo., to over turn a long-held ban on snowballs on Monday. Speaking in front of a crowd of residents and media, Best told town trustees that because of the nearly 100-year-old ban, which classified snowballs as a type of missile, he couldn't throw a snowball without worrying about breaking the law, or getting into trouble. As he made his case, Best gave "a description of snowball fights (similar to dodgeball)," according to CPR's Xandra McMahon, who posted a series of tweets from the meeting. "I feel like half of this attendance is made up of kids," McMahon wrote. "That's a lot of 9-year-olds passionate about throwing snowballs." "All of the kids always get blown away that it's illegal to have snowball fights in Severance," Rietkerk said. "So, what ends up happening is they always encourage the kids with, 'You have the power you can change the law.' No one has." The board had its own questions for the snowball-fight enthusiast. According to the Tribune, Trustee Dennis "Zeke" Kane wondered, "Can we amend this ordinance to say that if you're over 60, no one can throw a snowball at you?" Afterward, Mayor Don McLeod met Best and other attendees outside, where he gave the boy the honor of throwing the first legal snowball within town limits. The second throw went to Best's younger brother Dax — whom Dane has identified as his preferred opponent.